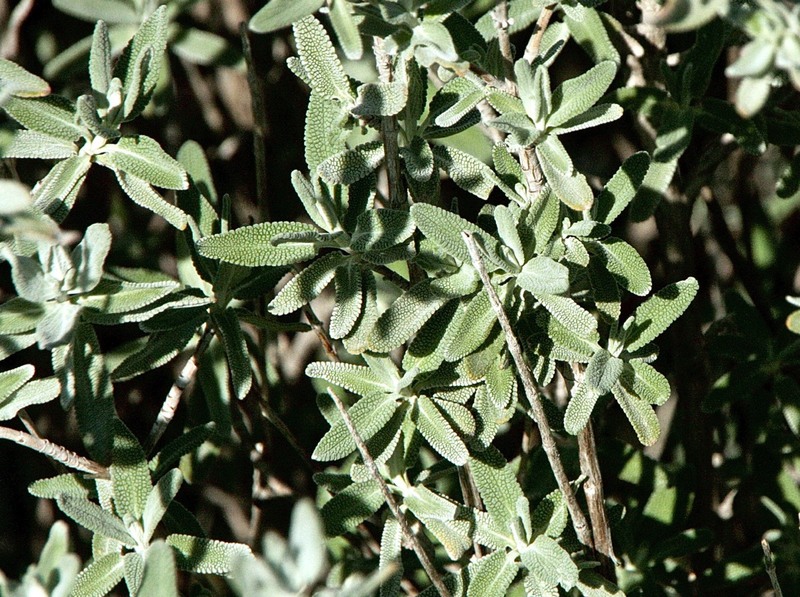 plants (known as Purple Sage) are growing quickly as a result of the rainy weather. Close-up of the textured leaves of the Purple Sage. This is the ESHA portion of the Trancas Field. The furrows in the bare canyon walls show the result of years of erosion. This is a species of Needle Grass, with blades that end in tassles of additional sprouts. Purple Needle Grass is a Species of Special Concern. 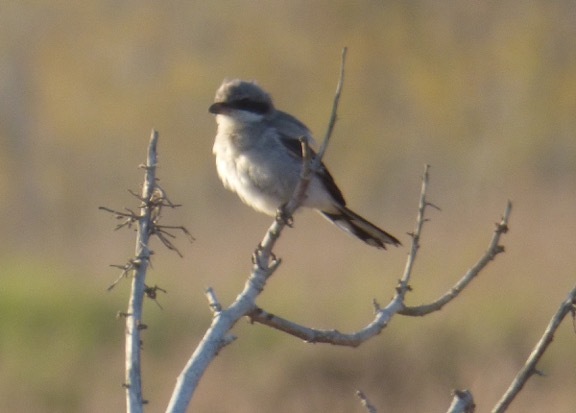 The Loggerhead Shrike, which is on the list of species of California Special Concern, is comfortable hanging out at Trancas Field. A Priority 2 species, it's a rare sighting in Malibu, though an occasional Loggerhead will be seen at neighboring open spaces, such as at Ballona Wetlands. 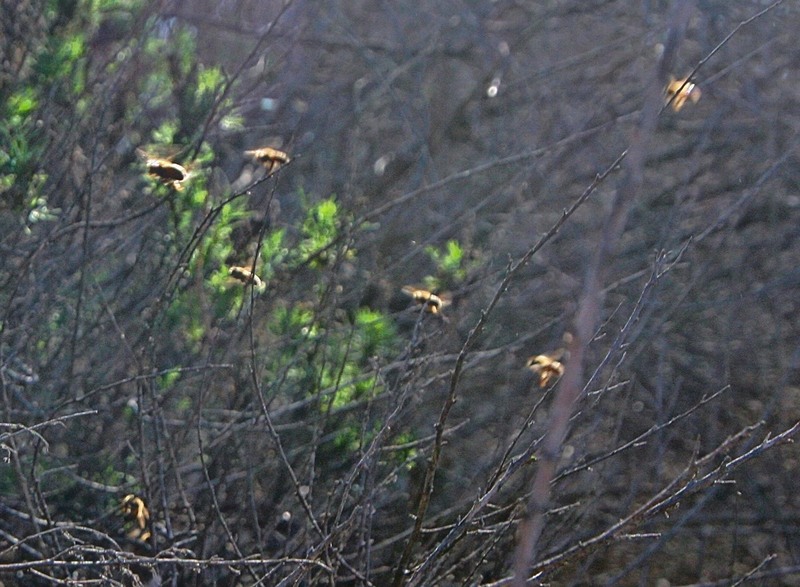 At least two bee hives are located in Trancas field with one in the ESHA section. 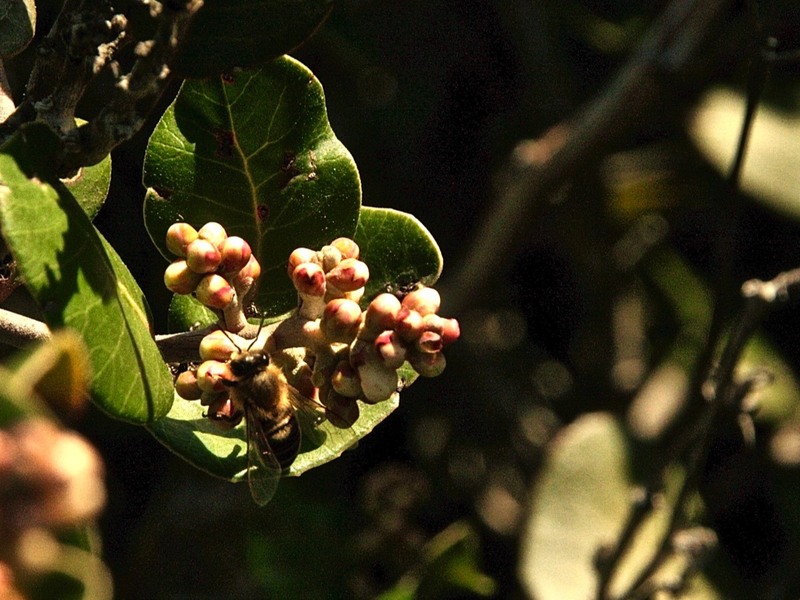 The bees busy themselves collecting pollen delivering it to their queen. The Rhus Integrifollia, usually called "Lemonade Berry" is a type of sumac that is in abundance at Trancas Field. 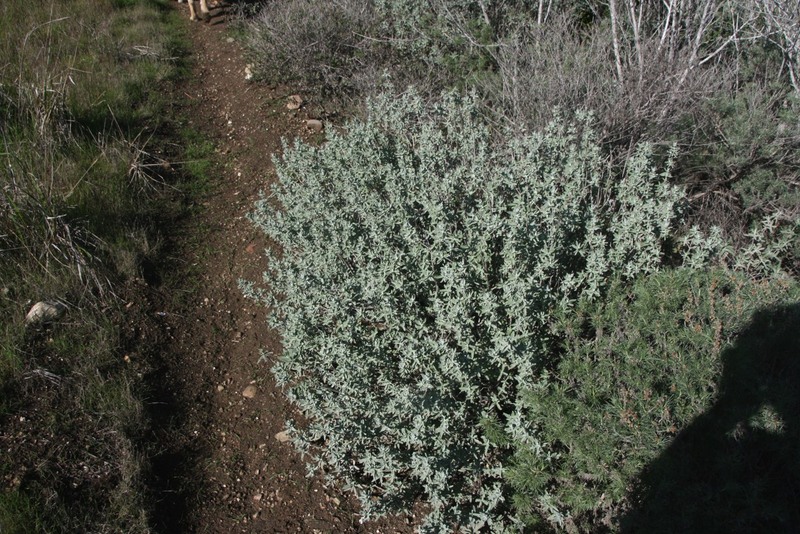 The acreage is full of Coast Sagebrush, which actually is an Artemisia, not a salvia. 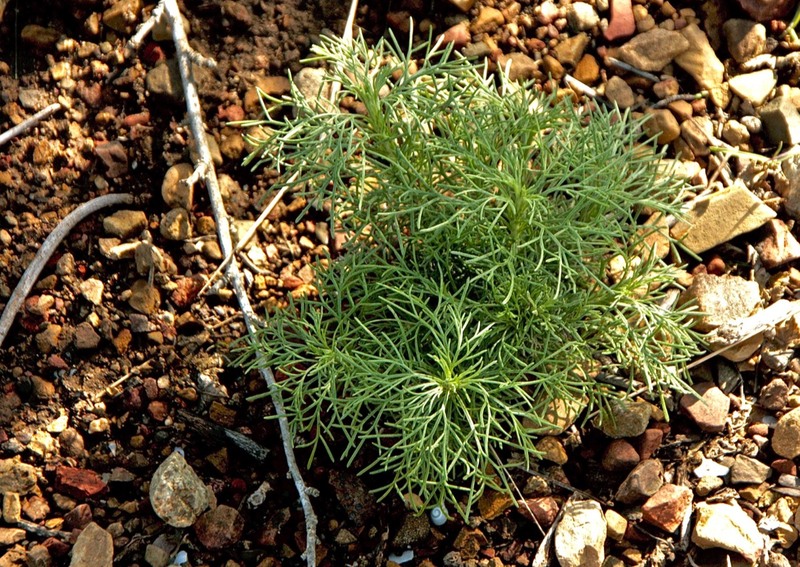 To be specific, it is Artemisia california. 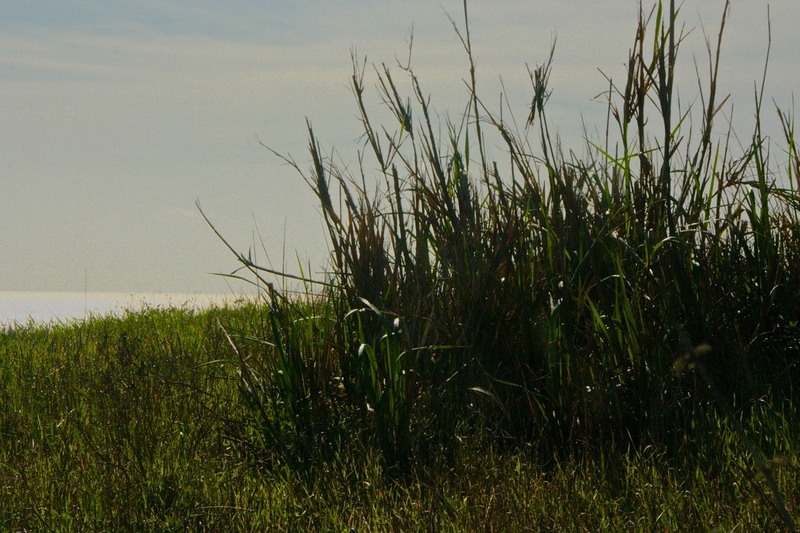 The Habitat, after which it is named is Coastal Sage Scrub Habitat, and areas designated as such contain a cluster of plants often found together including the Coast Sagebrush. The plant has an unmistakable deep, rich, spicy and aromatic aroma. This is one that just sprouted this year. 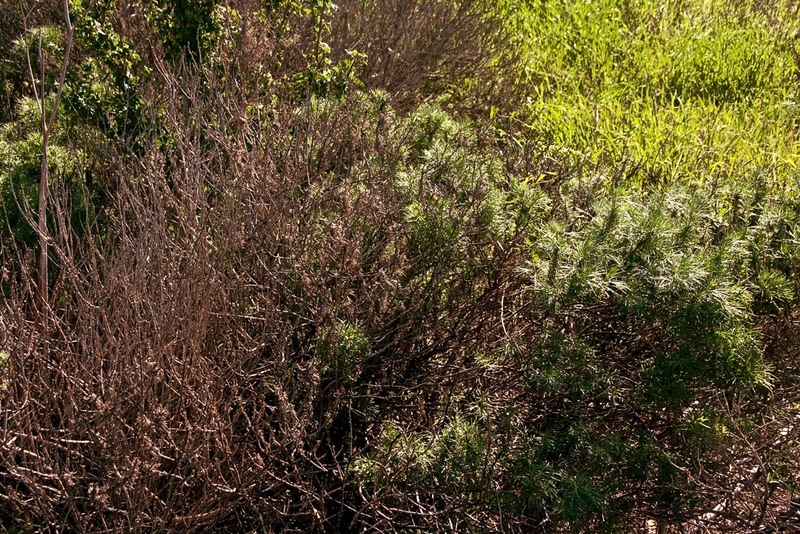 During the drought plants turned grey and people assumed that many plants in the Coastal Sage Scrub Habitat area had died. Not so. This year's frequent rains almost miraculously gave them new life. Color is coming back to the fields! 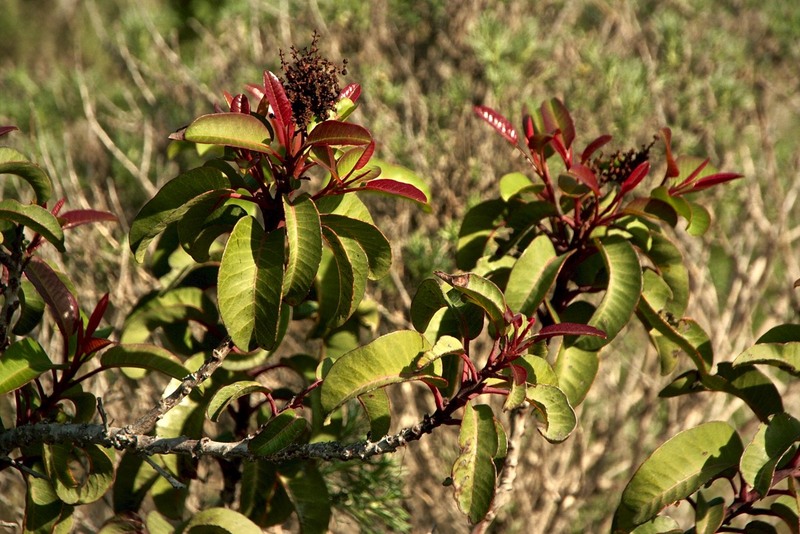 Laurel Sumac, or Malosma laurina, is a key plant in the Chaparral Habitat. Any place where it occurs in profusion is automatically ESHA. 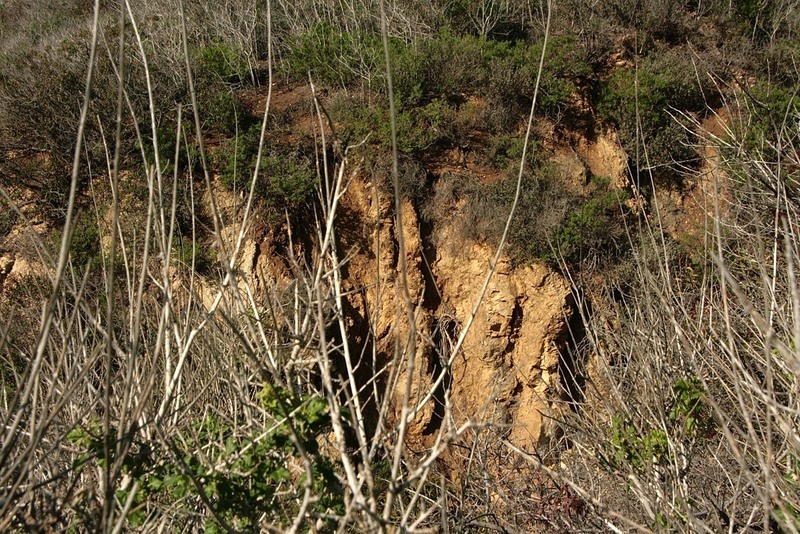 Our native species tend to occur at a slightly higher elevation and away from direct marine influence.